Ah, gratitude! 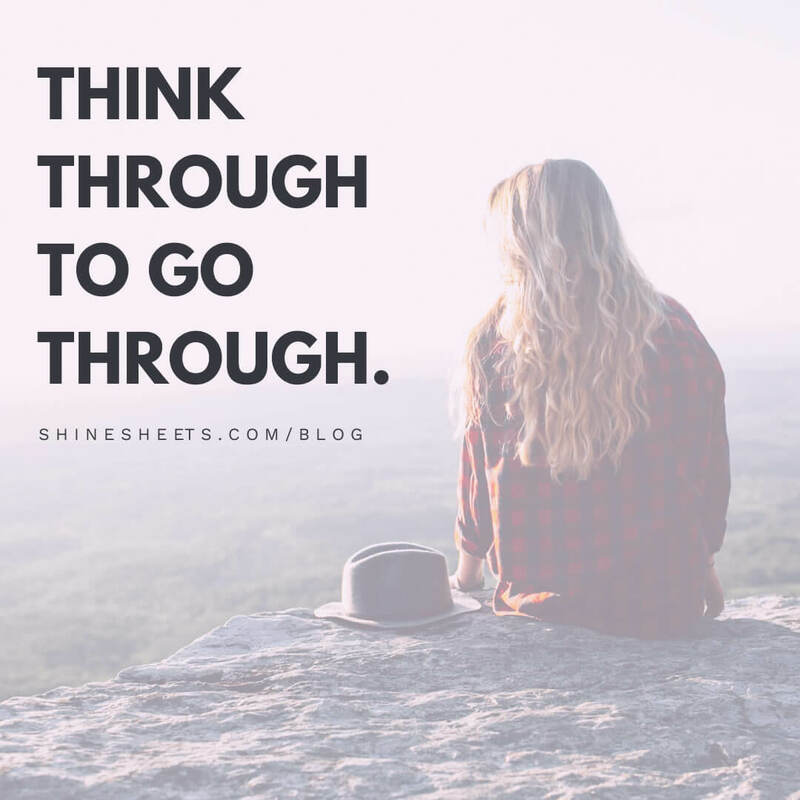 A perfect antidote to negative thoughts. I’ve been using it as a way to stay positive for a long time. It’s easily one of the most effective ways to improve your attitude right away! If you struggle with negative situations or thoughts, low self-esteem, anxiety or grumpiness, the gratitude may just be the right answer for you. Gratitude is a feeling of being thankful and ready to appreciate what you have, where you are and who you are right now. It helps you to shift your focus from what’s going wrong to what’s going right. 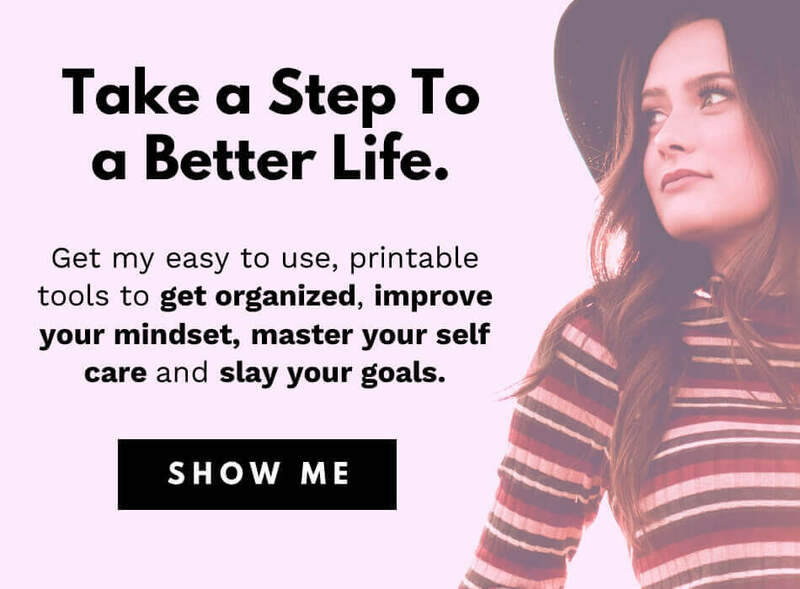 In result, it helps you stay happy and positive – even when things aren’t that perfect. And let’s admit it – they rarely are perfect. Being able to face life issues with a smile on your face is one of the best qualities to look for in yourself. In this article, I’m going to show you 5 ways you can use gratitude right now so you can instantly become happier, stay positive and ready to face your life – with a wide, confident and honest smile. 1. Have a gratitude journal. Having a journal where you can list all the things that go well is like having a tablespoon of honey in your oatmeal. Yes, you could eat the oatmeal plain and simple, but this added sweetness makes it so much more enjoyable. You can have a journal where you simply list one thing you’re grateful for every day. Or, if you like to meditate on your thoughts for a little longer and want to start becoming positive no matter what, you can try a deeper approach to gratitude. 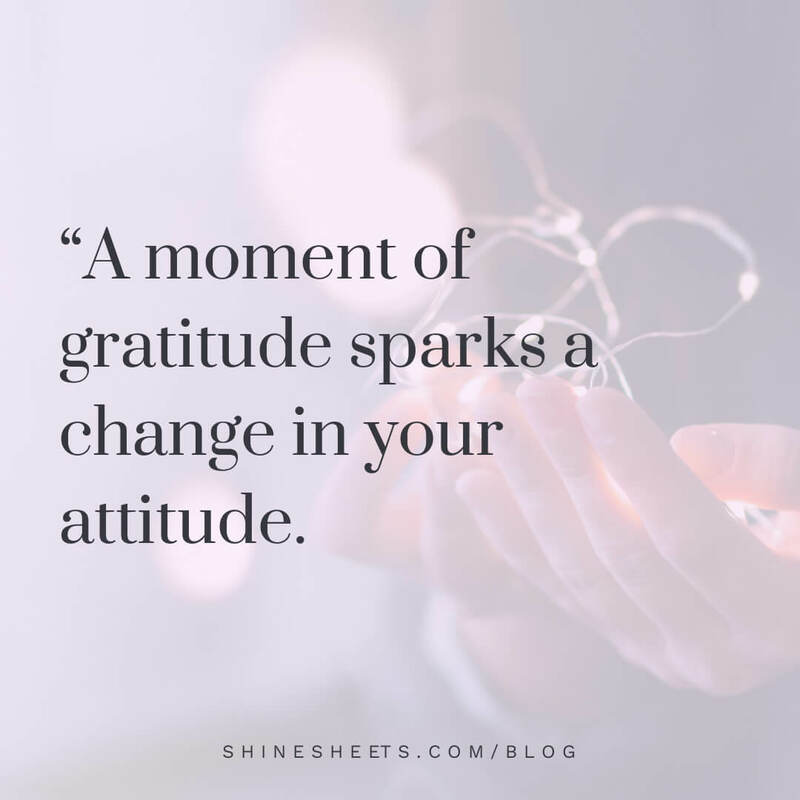 Here’s a gratitude journal example from ShineSheets store. This journal has several gratitude exercises that you can use continuously to improve your motivation and stay positive every day. Whenever you feel sad or anxious, meditate and write your thanks for the things you have in your life. Are you happy to have clean water? Clothes to wear? A home? Clean air to breathe?.. These things often feel like they’re just given to us and we’re supposed to have them. But in reality, not everyone is lucky to enjoy these simple comforts in their life. The moment you begin to realize how much you actually have, your whole attitude shifts. Things start to look not as bad as you thought. Your environment feels much more comfortable. Hard situations don’t seem that hard anymore. You can check out this printable gratitude journal here. 2. Help those who are less lucky. We’re so used to comparing ourselves with those who have more. But we rarely compare ourselves with those who have less. Have you ever thought about your life from a homeless person perspective? Tell me, would he think your life is bad?.. I’m not saying you should become proud or arrogant because you have more than a homeless person, no! Trying to see your life from another perspective just makes you see things the way they really are – not the way you’re used to picture it in your head. It makes you humble. It makes your life real. Express your gratitude with your actions by doing something to help those in need. Buy a meal for a homeless person, donate your old clothes, volunteer if you can. Gratitude is a perfect fuel to help others and it will give you a feeling of being useful. 3. Say ‘Thank Yous’ in your head. Sometimes we get something that we can’t express a loud thank you for. hank for morning sun, a warm cup of coffee when you’re cold, a man who let you through the door first, a fast row at the store. This helps you to notice and reap benefits from small things that otherwise may go unnoticed. If you can’t seem to feel grateful or maybe you do, but it doesn’t make you feel any better, try giving something up. There’s a known phenomenon that people don’t appreciate the things they have until they lose them. In the best case scenario, it’s just something material, like the phone you left in that Uber. In the worst – it’s people who we can’t take back. Think about people you have in your life. If your relationships with them aren’t that perfect, try to improve them. Visit your old friends. Call your parents or grandparents. And even if you can’t rebuild a relationship, try to remember the good times and be deeply grateful for them. Those moments may never come back, but they happened and you will have a beautiful memory for the rest of your life. This is the first time I’m opening about this on my blog, but I lost my father two years ago to cancer. But I try to remember all those amazing moments I had with him and even when it hurts, I feel extremely grateful for everything that happened. It helps me to go forward and appreciate the people that are still around. If you’re in a hard situation, have a lot of problems or need to do something unpleasant, try to find something to be grateful for and it will help you push through. Maybe it helped you learn a lesson? Forced you to become more flexible? Take a sheet of paper and list all the positive things you can see in your situation. Even the smallest ones, like learning to create a better resume while looking for the next job. There’s always something good in every situation. You just have to start seeing it. If you don’t know how to start reframing your thoughts, check out this printable Worry Workbook. It’s designed to help you go through your thoughts and find a more pleasant side of anything that keeps you worried. And remember – anything that pushes you out of the comfort zone is unpleasant, but it’s usually a way to something bigger, brighter & better! Do you feel you should be more grateful? What’s the thing you’re most grateful for today? Share in the comment section at the bottom. 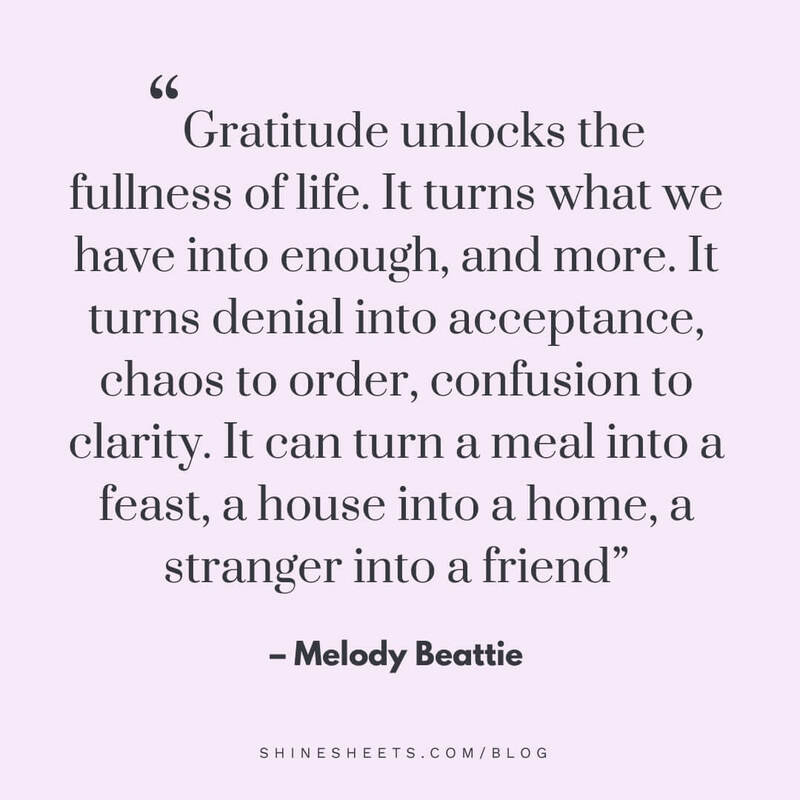 Thank you for sharing gratitude is not new to me but I will admit that i do tend to forget how it can change our negative days in to positive ones. The reminder was helpful thank you. I would say that the idea of gratitude is excellent but it is just a prelim to the ultimate achievement which is Contentment. And that is a real achievement in the end. Plus Contentment does not leave you lonely in later life. You may be alone, but your never lonely. Yes, we should strive for that, even though it is harder these days. Thank you for sharing! The quote from Melody Beattie really resonated with me. What she said about gratitude turning what we have into enough and more, is so true. This is something that is so easy to forget and being thankful is a great reminder.